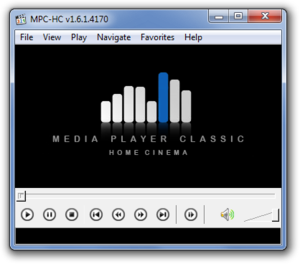 Media Player Classic - Home Cinema is a free audio and video player for Windows.This project is based on the original "Media Player Classic" SourceForge project created by Gabest. Media Player Classic - Home Cinema allows you to enhance, decode and accelerate a broad span of movie formats like x.264 with GPU assisted acceleration and image quality enhancing. The WMP Classic Home Cinema player does not require many system resources than the rest of the video media players to run smoothly. This is a low PC resources windows media player that runs on slower machines with older CPUs.